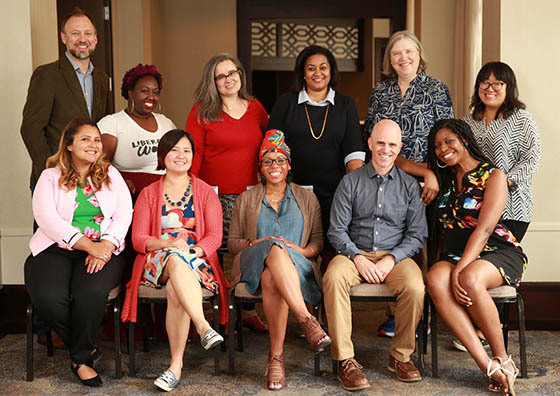 Announcing the 2018-2020 Heinemann Fellows. Standing: Brian J. Melton, Janelle W. Henderson, Nicole Stellon O'Donnell, Marian Dingle, Nina Sudnick, Minjung Pai. Seated: Irene Castillón, Julie Kwon Jee, Julia E. Torres, David Rockower, Islah Tauheed. Heinemann Fellows are a group of educators with boundless curiosity about children, teaching, and learning. To share findings nationally through social media, presentations, and articles. Though action research is the primary vehicle through which Fellows work, the initiative has evolved into a professional culture of its own. After becoming part of the initiative, Fellows soon adopt a discipline of observation and reflective practice in the classroom and the community. They undertake research designed to create new ways of thinking and fresh solutions to problems of practice. The Heinemann Fellows Initiative is about a new form of professional interaction in education. It's about true collegiality. Not congeniality—the friendly, supportive, superficial, “how are ‘ya doing today” kind, but the type of professional engagement in which they challenge each other's thinking, ask provocative questions of each other, and engage in discussions focused on their most fundamental beliefs about children, teaching, learning, and living. Fellows seek to create original ideas for our field in a time when many of our colleagues around the country question whether they can make a lasting contribution to their students. Original thinking for the field and new ways of seeing –- for children to come. 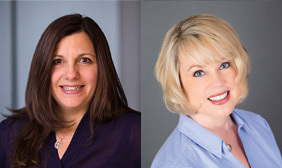 These Heinemann Fellows are creating a unique culture and establishing relationships with each other and with the team at Heinemann. Fellows set their own direction, but in the full knowledge that their colleagues at Heinemann will puzzle through ideas with them. It's about close professional and personal relationships they'll have for a lifetime. And, Heinemann Fellows seek to create new professional learning opportunities for colleagues around the world, like a stellar new professional book title, an article for our Professional Development Catalog/Journal, a series of blog posts, or Twitter chats. 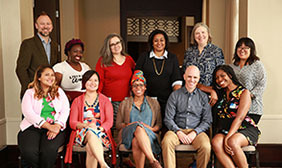 Most importantly, Heinemann Fellows hope to inspire educators around the world to take on problems of practice, develop research questions and plans to systematically review their instruction and amend it to better meet children's needs. 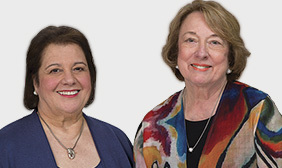 They share a fervent desire to stand alongside children and colleagues to create better classrooms and schools with the long-term interest of creating a more just and inclusive world. Ellin Oliver Keene has been a classroom teacher, staff developer, non-profit director and adjunct professor of reading and writing. For sixteen years she directed staff development initiatives at the Denver-based Public Education & Business Coalition. She served as Deputy Director and Director of Literacy and Staff Development for the Cornerstone Project at the University of Pennsylvania for 4 years. Ellin currently serves as senior advisor at Heinemann, overseeing the Heinemann Fellows initiative and works with schools and districts throughout the country and abroad. Her emphasis is long-term, school-based professional development and strategic planning for literacy learning. Ellin is co-editor and co-author of The Teacher You Want to Be: Essays about Children, Learning, and Teaching (Heinemann, 2015); co-editor of the Not This, but That series (Heinemann, 2013 - 2015); author of Talk About Understanding: Rethinking Classroom Talk to Enhance Understanding (Heinemann, 2012), To Understand: New Horizons in Reading Comprehension (Heinemann, 2008), co-author of Comprehension Going Forward (Heinemann, 2011), Mosaic of Thought: The Power of Comprehension Strategy Instruction, 2nd edition (Heinemann, 2007, 1st edition, 1997) and author of Assessing Comprehension Thinking Strategies (Shell Educational Books, 2006) as well as numerous chapters for professional books and journals on the teaching of reading as well as education policy journals. Irene Castillón is the founding academic dean at Luis Valdez Leadership Academy in San Jose, CA, where she seeks to build structures and programs that affirm students by fostering teaching and learning that is culturally competent and empowering. Irene was also the recipient of the Phyllis Henry Lindstrom Educational Leadership Award and in 2016 and was recognized by the U.S. Department of Education as part of the #LatinosTeach campaign. With her leadership and teaching largely influenced by her own experiences, Irene entered education to advocate for equity, tolerance and justice. Marian Dingle is a teacher who pushes for change through students, striving to educate through a social justice lens. Currently a Grade Level Chairperson, a 4th and 5th grade educator and an instructional mentor at Briar Vista Elementary School, she is most passionate about mathematics, seeking to diversify mathematics curriculum through highlighting the work of mathematicians of color. She has keynoted at Twitter Math Camp, serves on their board and is a contributing writer for the Global Math Department. She has also presented several sessions for the Georgia Council of Teachers of Mathematics, the Georgia Association of Gifted Children, and will present her action research at the National Council of Teachers of Mathematics. Janelle W. Henderson is an activist who uses her curriculum to expand students’ thoughts on identity and blackness through culturally sustaining critical inquiry. She cares about her students as learners, community members, and as people. She has a robust background in several professional cohorts, including the Professional Dyads and Culturally Relevant Teaching and the Kentucky Reading Project. Janelle is currently a 3rd grade teacher at Mill Creek Leadership Academy in Louisville, KY, where she launched a Black Boy Joy Book Club and Black Girl Magic Book Club for second and third graders. Julie Kwon Jee is a National Board Certified Teacher dedicated to creating safe classroom environments where students flourish and become lifelong readers and writers. She currently teaches literature, writing composition, and AP English Literature at Arlington High School in LaGrangeville, NY. Julie serves on several teams and committees in her school district, is a founding organizer at EdCamp Hudson Valley, and is a member of the Hudson Valley Writing Project (part of the National Writing Project). Julie is a pioneer in integrating technology and digital tools into literacy learning, and in 2013 was nominated as one of 40 top innovators in education by the Center for Digital Education. Through her robust range of work, Julie seeks to lead by empowering others and bringing equity into the classroom. Brian J. Melton started his career in radio, journalism, and public relations. He integrates the experiences from his first career into his current role as an English and Creative Writing teacher at Glenbard North High School in Carol Stream, IL. He also advises a slam poetry team, who in 2017 performed at the Louder Than A Bomb youth competition. Brian believes in the power of conversation and self-reflection and infuses these values into his practice as an educator and leader. Nicole Stellon O'Donnell currently teaches English and serves as Head Teacher at Golden Academy, a school housed within a state juvenile detention facility in Fairbanks, AK. In her teaching there, she strives to keep her students at the center of her practice by honoring and fostering their engagement. She believes in the power of being an active literary citizen to shape strong leadership and teaching. She has led by example in publishing poems, articles, essays, and is the author of two forthcoming books. She has received numerous awards and honors, most recently her book Steam Laundry was the 2018 statewide Alaska Reads Selection. David Rockower believes that classrooms should be a second home for students, where they discover and celebrate strengths, where student voice, choice, and engagement are paramount. Currently, he teaches English at the Delta Program, a small, democratic middle school in the State College Area School District. He is also a bi-monthly essayist for State College Magazine and has published articles in The Washington Post and Education Week. In 2017, David was awarded as National Middle School English Teacher of the Year by the National Council of Teachers of English. Nina Sudnick believes in continually striving to make math enriching and engaging for her students, school district, and community. Her math leadership journey began over decade ago when she was asked to teach a middle school math class to a group of struggling students. She currently teaches 6th Grade Math and Science at East Elementary in Athens, Ohio. Nina is also a co-founder of the Southeastern Ohio Math Teachers Circle, serves of the Board of the Ohio Math Education Leadership Council, is the leader of her district's Math Leadership Team and in 2014 was the keynote speaker at the Annual STEM Symposium at Ohio University. Islah Tauheed is a courageous advocate for teachers. She works toward change by creating safe spaces where people can let their guard down, express their true selves, and receive honest feedback. She is currently a 2nd Grade teacher at Linden Tree Elementary School in Bronx, NY, where she integrates a variety of curriculums and projects, including STEM, that reflect the diverse background of students in the school community. Izzie also holds a Master of Arts in Deaf Education. Julia E. Torres strives to empower students living and learning in historically marginalized or disenfranchised communities. Currently, she is a language arts teacher/librarian within Denver Public schools. Julia works to make her library a place for students to seek answers to questions that intrigue and excite them and to help reignite their love of reading through the development of rich, culturally and linguistically diverse reading lives and identities. She has served as a Regional Affiliate President for the National Council of Teachers of English (NCTE) and is the current NCTE Secondary Representative-at-Large. Additionally, Julia serves her colleagues as part of the Culturally Responsive Teaching leadership cohort within Denver Public Schools.